Adjacent skills can be just as valuable as a primary skill. Adjacent skills increase your overall knowledge, improve spoken and unspoken communication, expand your mind to new perspectives and increase creativity. I’m going to keep coming back to an example of a drummer. It’s fair to say that a drummer who also plays and studies piano, bass, and makes beats at home will probably be a more well-rounded musician with increased versatility and sensitivity to arrangement, balances, roles, etc. Versatility is just as valuable in the audio recording/mixing/mastering/production world. I’ll be the first to say: if you want a professional sounding mix for your song, your best bet is probably to work with a professional. There are plenty of reasons to work with a pro instead of doing it all yourself. But professionals that interpret the accessibility of DIY knowledge in 2013 as a threat to their own business and skills just come off as defensive, insecure and narrow-minded. I wish some people would step off their Pedestal LLC, and realize that career titles are mostly self-assigned designations anyway. I’m speaking primarily towards a general attitude that’s out there. It’s from a vocal minority, but still worth addressing. We recently published an article about mastering your own hip-hop records. Maybe that makes you cringe. 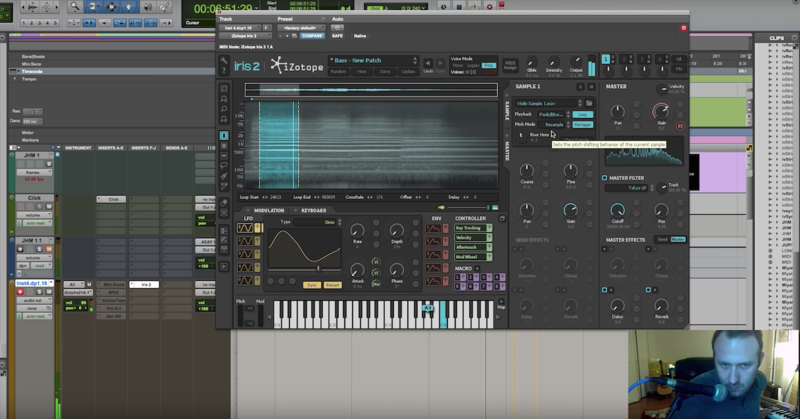 We also released an in-depth tutorial called Mixing Rap Vocals. Maybe you think that’s lame. But those articles and tutorials are enabling producers and beatmakers to quickly, affordably and effectively expand their knowledge and skills. Isn’t that the beauty of the internet? If it offends you that there’s a middle ground between amateur and pro, just remember that before you became a “pro” you were an “amateur.” It’s a gradient, and you’re on it. 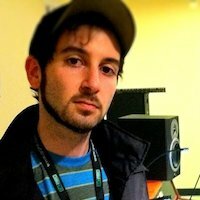 If you’re a pro mixer working with a beatmaker to mix their song, wouldn’t you rather they have as much of an understanding of the mixing and mastering process as possible? It will make for a better song, and also make your life easier: communicating with them, getting the right session files, etc. The short-sightedness of both of the assumptions is assuming that titles (i.e., beatmaker, producer, pro, engineer, home studio, etc.) are cut and dry, and mean something beyond your own branding and marketing. What if a pro mixer works from home? What if a beatmaker is also interested in mixing, and happens to be really awesome at it? What if a rapper learns about mixing rap vocals and is inspired to improve their own microphone technique with a song’s end result in mind. All of us were x before y. To hate on anyone for expanding their adjacent knowledge is just being an insecure hater. Conceptual labels (aka job titles) are great for marketing, branding, and maybe personal career satisfaction on some level. But they’re also just words that put you in a tidy little box with a label. And maybe a bow depending on your industry. Personally, in 2007 I thought I was a drummer. In 2009 I thought I was was an audio engineer. In 2011 I thought I was a blogger who made apps. Yesterday I thought I was pretty good at eating healthy. It’s all a gradient. I have various levels of skill in many things and so do you. I’m definitely not the best or worst at anything, and the ever-mophing professional titles and labels I used to cognitively fuse with really are just words and labels. However, beyond those words, their is an actual combination of interests, passions, and skills that make up what/who I am today — whatever that may be — and the same goes for you. In an hour I’ll be a caffeinated espresso hobbyist. Tonight, if all goes well, I will be an avid carnivore. I have filed for linguistic bankruptcy and it’s fine. So what’s the difference between a bedroom hip-hop producer getting into mixing and a drummer getting into playing guitar? Why does the pro mixer get so riled up about their turf being stepped on while the multi-instrumentalist is considered valuable and versatile. I’m not sure. Ego? Money? And what about the audio engineer who dabbles (or more) as a musician? Why aren’t musicians threatened by that? Versatility is always a good thing. Nobody would say that a recording engineer who’s also a drummer and can tune drums isn’t valuable. It’s just like how traveling expands your perspective, and maybe when you come back home you’re more educated, compassionate, and even learned a new language. So here are some actual comments from the troll-prone wastelands of Facebook. I’m using them as an exaggeration of a general sentiment. 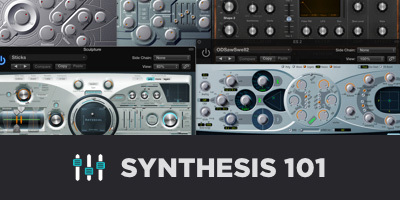 Sure, there are techniques and characteristics that apply across all genres. And if you already know how to use many of the mixing tools at your disposal, that’s a great start. But that’s such a small part of the overall equation. Sorry, but if you’re using the same channel strip for a female jazz singer and a male rapper, you might be doing something wrong. The studio business is not as exclusive as it used to be. We all know that. The barrier to entry is gone thanks to computers, internet and accessibility. Twenty years ago you had to invest a lot more money into a studio to get even the most basic recording setup off the ground. That gave you leverage to charge a premium, but the days of that kind of scarcity are over. You have to charge for the value that you honestly and transparently provide. If you think otherwise, you’re basically the Comcast of audio engineers. And nobody likes dealing with Comcast. Let’s call your room, gear and tools 25% of the value pie, and your skills and taste the more important 75%. If you’re an audio engineer who thinks a gear list is the most important part of your marketing and branding, I will wonder what you’re overcompensating for. If I’m looking for a pro mixer, I just want to hear your work. I couldn’t care less if you boot up a Dell to mix my song with stock plugins in Fruity Loops. Okay I care a little bit, but still. My album cover won’t be an HDR photo of your gear collection anytime soon. I should mention, I did pursue a standard-ish audio education. I haven’t “professionally” mixed in a long time, but going to school led to an internship that resulted in my partnership for Quiztones. I still make beats, and I mix them myself and really enjoy doing that. It’s also enabled me to sustain this website and community because I’m familiar with (and care about) the industry. There are so many ways to be in the music industry. The more adjacent skills you have, the better shape you’ll be in. Your degree alone probably won’t get you very far. A piece of paper doesn’t make your future, you make your future. It comes down to this: you’re getting paid for the value you bring to the market. The more value you can provide, the more work you’ll get and the more you can charge for it. And of course, the better you can convey that as transparently and authentically as possible, the better shape you’ll be in. Sure, a high schooler with a pirated copy of Fruity Loops and cracked Waves plugins can make beats, but does he have your taste and skill that you’ve spent years cultivating? I don’t know. Probably not. It’s really no threat. Ability and execution are the true indicators of value. Not money, investment, and ownership. I’ve seen pro drummers make entry-level drum kits sound like a million bucks. 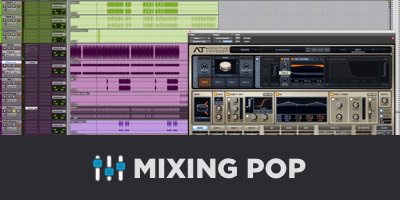 I’ve seen pro mixers mix completely in the box with stock plugins and get incredible results. The tools are a small part of the equation. Purchasing tools and knowing how to use them are just the very first steps. A crumbling barrier to entry is fine if you’re confident in your abilities and the value you offer. More music in the world is a good thing. It’s inspiring, it expands the horizons of what’s creatively possible, it pushes music trends in new directions faster, and it inspires us to create and collaborate. If you want the perspective of someone who disagrees with everything I just wrote, click the timestamp on the first tweet below. If you need a tutorial on mixing rap vocals, you probably shouldn’t be mixing. If you’re a ‘pro mixer’, and you’re threatened by the home studio guys: YOU’RE NOT A PRO MIXER. Anyway, I officially feel like the most cynical person in Boulder, so I’m gonna go find some soaked granola and hug a tree. ‘Til next time.